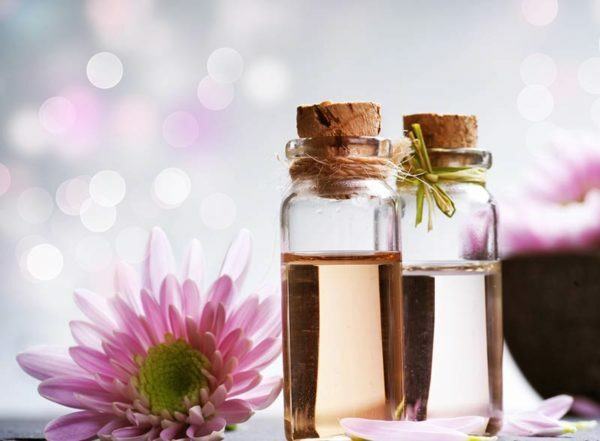 Essential oils, mainly used for aromatherapy and the treatment of respiratory health issues, are making their mark in the world of skin and facial care. Although it may seem counterintuitive to treat excess oil production with oil-based products, essential oils can effectively preserve moisture levels and oil balance in the skin. Each has certain properties that can remedy and relieve skin problems. Tea Tree – Tea tree oil, with its antifungal and antibacterial properties, can treat acne, warts, and fungal infections. It can also reduce scars and prevent infection in cuts and wounds. Geranium – Geranium promotes tightening and is applied for wrinkle treatment and sagging skin. It reduces inflammation and promotes healing for skin injury and irritation. Ylang-Ylang – Ylang-ylang effectively prevents the buildup of sebum in the pores (to prevent acne) and stimulates skin cell growth to battle the signs of aging. Neroli – Neroli regenerates skin, making it a good option for treating wrinkles, scars, and acne. Its antibacterial and healing properties soothe skin conditions like rashes. Chamomile – Chamomile is great for sensitive skin and can be used to treat various conditions like acne, eczema, and rosacea. Lavender – Lavender possesses anti-inflammatory and antibacterial properties to treat acne, eczema, and psoriasis. It can also promote healing of cuts and sunburns. Frankincense – Frankincense can be used on all skin types but is especially effective treating dry skin with elasticity and pigmentation issues. It cleanses, tones, and rejuvenates aging skin. Patchouli – Patchouli revitalizes dry and dull skin, renewing a youthful, healthy glow. It tones and tightens skin and is an effective remedy for eczema, dermatitis, and acne. Essential oils are extremely concentrated extracts and should not be applied directly onto skin. Doing so may induce irritation and/or allergic reactions. Most skin experts recommend combining 2%-3% essential oil(s) with 97%-98% “carrier oil” for safe, daily use. This equates to three to 4.5 drops of essential oil for every 5 millilitre bottle of carrier oil. Be sure to thoroughly cleanse your face before oil application as oil applied to dirty skin can exacerbate skin problems. Apply oil before your skin dries completely, allowing moisture to lock in. For accelerated benefits, talk to your skincare expert on how to incorporate DIY facial cupping massage into your routine. Not sure which essential oil is best for you? Contact Clarity Medspa & Laser for advice on skincare and non-invasive laser treatments. 416 960 2222.